Faith meets style in this handsome cross pendant for the one in your life. 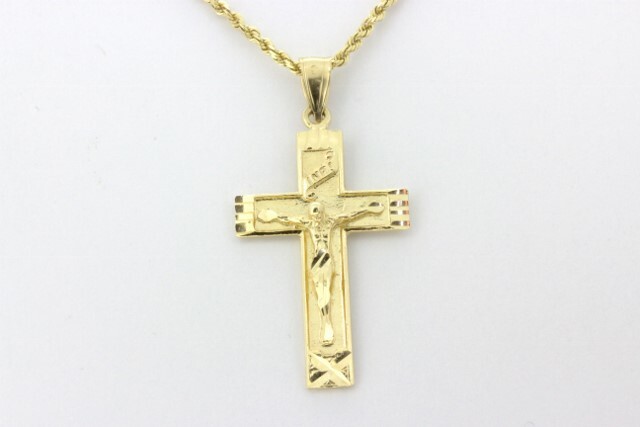 Fashioned in sleek 14kt yellow gold, this traditional cross features a bold look with a crucifix. Polished to a brilliant shine, this cross suspends from a 20-inch rope chain secured with a barrel clasp with a side safety latch.